Your vehicles serve not only as transportation for your employees and products but also to remind people everywhere about you and your brand. The Atlanta metro area has more than 5.7 million residents, which is one of the top 10 biggest populations in the country. 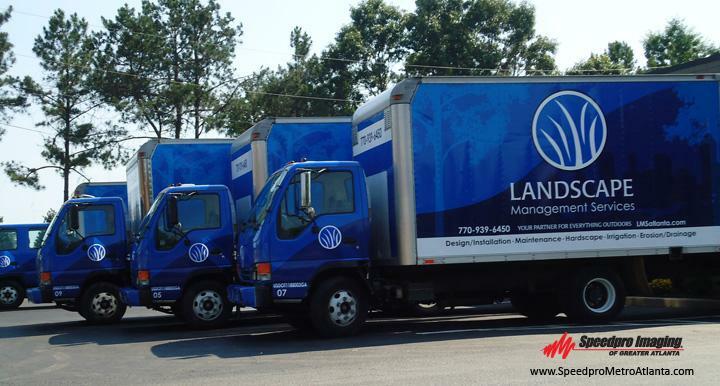 With the help of SpeedPro Imaging of Greater Atlanta, you can reach a vast crowd of those people with colorful, informative vehicle fleet wraps. With extensive experience working in the local area, we’ll use our skills and insights to create graphics that accentuate the uniqueness of your brand. 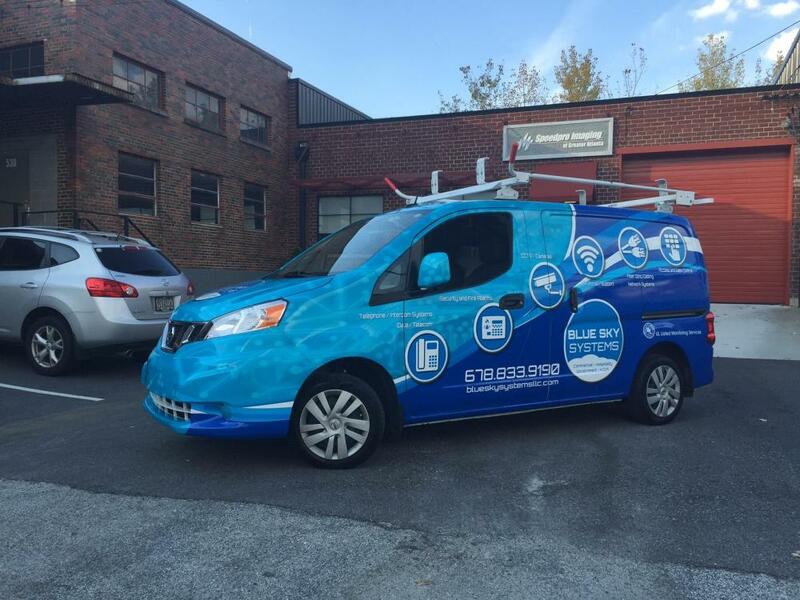 Vehicle wraps lend a tremendous usefulness on their own, so employing several will significantly improve your visual marketing strategy. Research has shown that one wrap can generate up to 70,000 impressions per day, and it might even exceed that in such a highly populated city. If you have a dozen vehicles, you’re looking at possibly 800,000 impressions in just 24 hours. Not only that, but wraps also offer the lowest cost per 1,000 impressions of any other marketing medium, which can offset the initial costs of these products. Studies work the price out to be around $0.70, which significantly outpaces primetime television spots ($20.54) and quarter-page newspaper ads ($11.66). Staying with the times is important for any business, and you’ll be joining in on the vehicle wrapping craze at a good time if you start now. The nation’s industry is expected to nearly double in revenue between 2016 and 2022. Once we host you for a consultation to learn more about your project’s requirements, we’ll dive right into our product catalog to get started. The first thing you should know is that we offer full and partial fleet wraps. 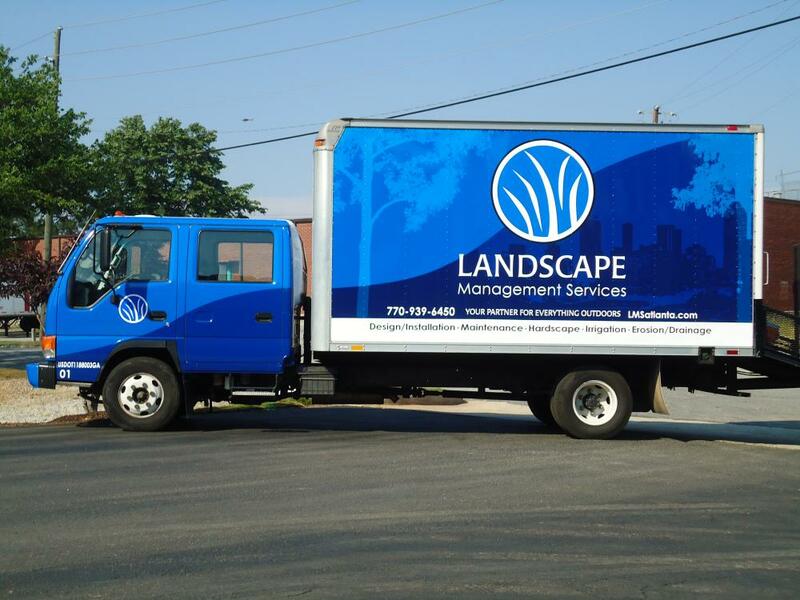 Full wraps give you the complete mobile billboard experience, which means that people will see your preferred logos and messages from all angles as they pass your vehicles on the road. Partial fleet wraps are usually kept to a particular side or area of the vehicle, but they still produce a strong ROI while keeping costs down. Spot decals and lettering are also available upon request. We can show off simple logos, names and other information and create a customized phone number or online landing page for the graphics to track the number of leads a particular wrap generates. Determining when we’ll install multiple wraps can be tricky, but we’ll collaborate with you closely to create a detailed timeline. Then, our experts will follow it as closely as possible to complete your project quickly. 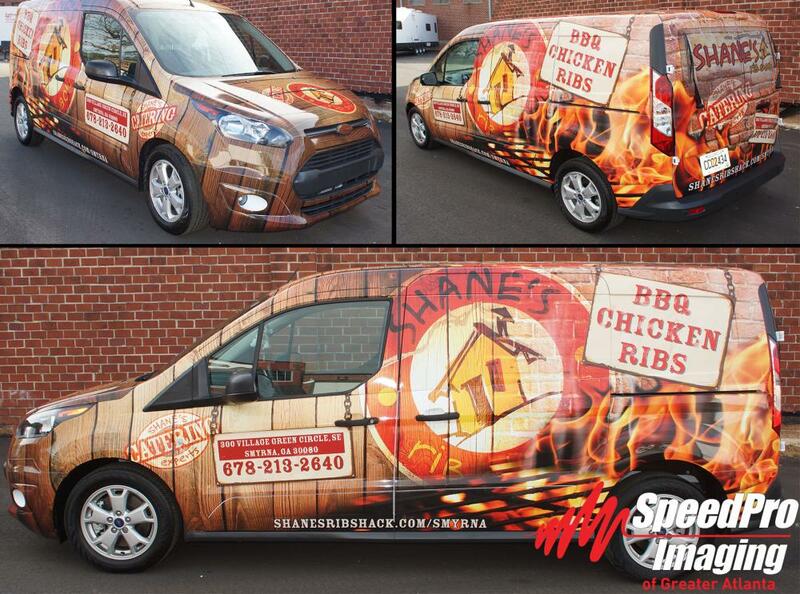 From start to finish, we’ll make your custom fleet wraps a top priority to ensure your complete satisfaction. When you’re ready to schedule your initial consultation, get in touch with us by phone. You can also visit our studio, which is located on Permalume Place in Atlanta. We look forward to working with you.